Tennis is a game everyone who is reading this loves. We love watching the best in the game and then we dream of bringing their game to the court when we play. Of course, the vast majority of us may never reach that level of tennis. However we could ask ourselves: why can’t every tennis player enjoy the game as it’s played by the pros? Why do most of us struggle to find great tennis partners that will challenge and push us to greater heights? Why can’t we enjoy the benefits of taking part in tournaments and rankings that last throughout the year? Why can’t you be the person ranked #1 in your age bracket at your local tennis court? Mobile technology with LoveCourts makes this a reality. 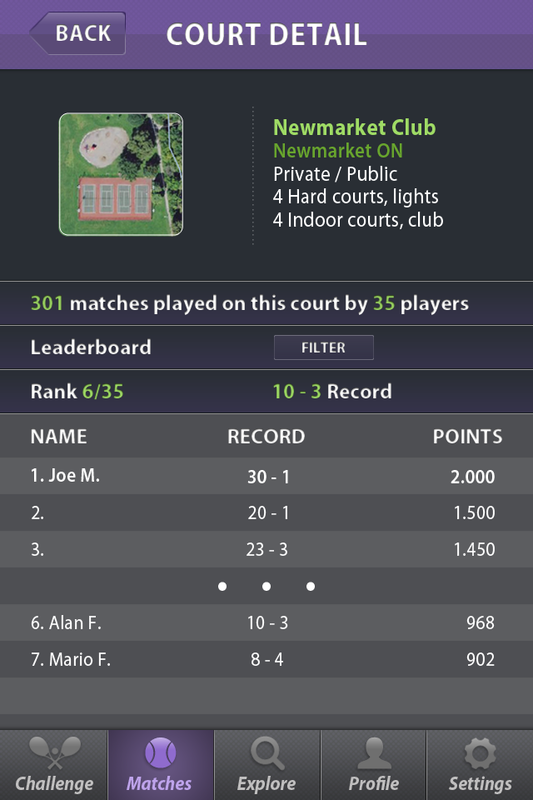 LoveCourts aggregates every tennis result on each tennis court and automatically creates a ranking based on the match results you, and others, have played on that very tennis court. Suddenly the game of tennis becomes, well, a game. 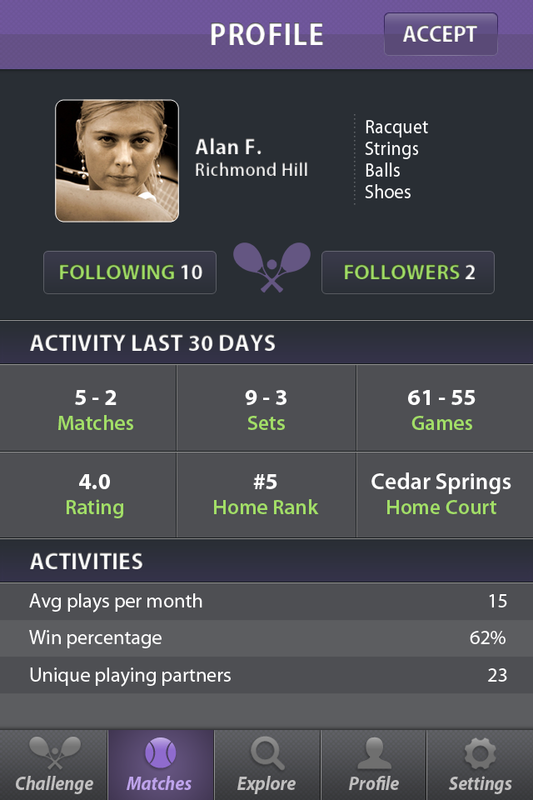 LoveCourts will engage you in tennis like never before. Aim to improve your game by setting and achieving goals – winning streaks, epic matches, matches played in a month and even sponsored matches. You can even track your gear and find out what gear works best for you. You can sign up for LoveCourts now and be among the first to play the game again like your first time (www.lovecourts.com). LoveCourts is founded by Alan Fong and Mario Filipas, brought about by their passion to make tennis more exciting, fun and engaging for everyone. Alan Fong has over 15 years experience in software in both the wireless telecommunications and healthcare sectors. He is currently the Vice President of Technology at PointClickCare, a healthcare software company. Alan has played a lot of epic tennis matches and loves the excitement it brings – he founded LoveCourts so that countless people can participate in the game of tennis and share those feelings. Mario Filipas is a Director at Advanced Micro Devices and a serial entrepreneur. With over 15 years of software development experience in the graphics, photography, Internet and mobile space, Mario hopes to change tennis forever by combining his entrepreneurial spirit with his passion for winners down the line on the forehand side. This looks like a good idea. How would this work at a private club? Does it? Thank you for your inquiry Chris. This application would work on any tennis court on the planet. Public or private. Indoor or outdoor. Lit or not lit. Hard court, clay, grass or carpet. If the court isn’t in our database, you can add it and we will verify it. The next step would be for LoveCourts to add functionality that could help private clubs officially incorporate our features into their systems. Until then, there is nothing preventing any pair of tennis players from entering their match results into LoveCourts. coupons until a selling arrives. These websites may also be presenting video extras as well as other web-pages with suggestions for learning to be a energy couponer. What i do not understood is in truth how you are now not actually a lot more neatly-preferred than you might be right now. You are very intelligent. You understand thus considerably relating to this topic, made me in my opinion consider it from a lot of varied angles. Its like men and women don’t seem to be fascinated unless it is something to accomplish with Lady gaga! Your own stuffs nice. At all times handle it up! I truly enjoy reading through on this site, it has superb blog posts. “I have a new philosophy. I’m only going to dread one day at a time.” by Charles M. Schulz.